Looking to own some real estate in the area? Or maybe just a new place to call home? Compiled here are 5 local area houses for sale, ranging from $150,000 to $350,000, as featured on Realtor.com. This beautiful home is in a great location -- close to many amenities. Laundry room just off the open kitchen, with a living room with a lovely fireplace. Master bedroom and full bath have recently been added to the main floor. Large decks for entertaining. Paved parking. Offered with most furnishings. A must see! 4 beds; 3 full baths; Built 1980; Sq. ft. Unavailable. 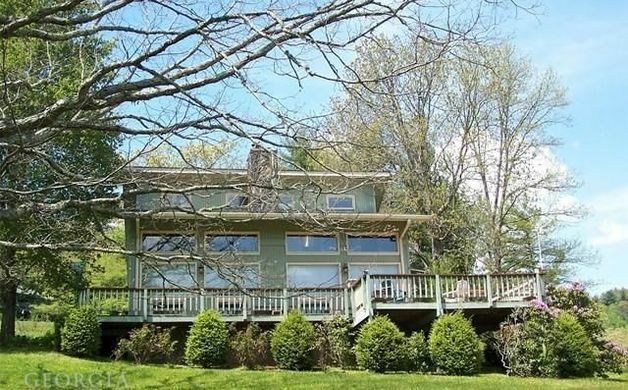 Enjoy the day on Lake Burton then escape to your nearby 5 acre wooded retreat. With 4 BR and 3 BA, indoor living includes open floor plan with hardwood floors, great room with wood stove vaulted ceiling and exposed beams, entertainer kitchen with custom cabinets, granite counter tops, island to gather around with family and friends, and separate dining area. Step outdoors to the screened porch overlooking a private stone patio with a fire pit. The grounds also include a two car garage with unfinished upstairs room, separate workshop, and storage building. 4 beds; 3 full baths; 2,224 sq ft; 5.0 acres lot; Built 2003. 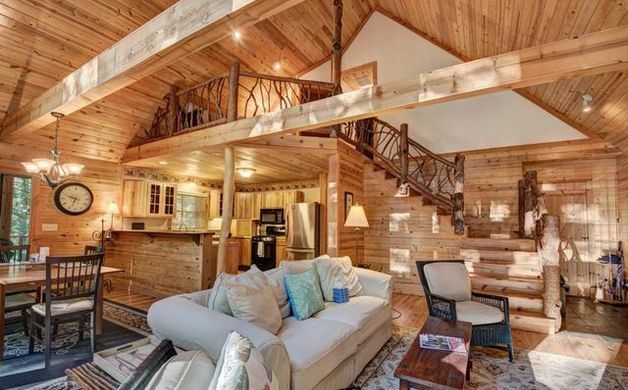 "Rafters Delight" is a fully furnished cozy getaway nestled in the north Georgia mountains. 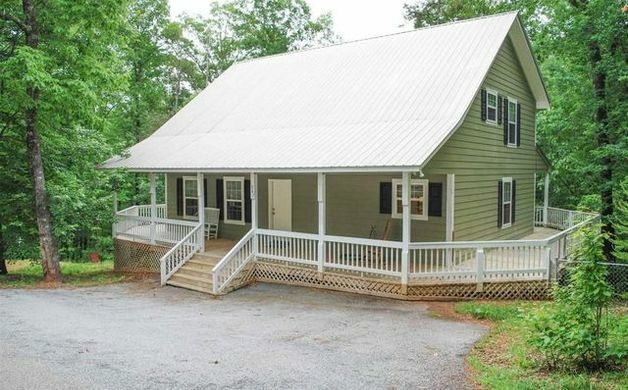 Minutes from rafting on the exciting Chattooga River, and convenient to Clayton for shopping and dining out, this 2BR 2BA home has a vaulted ceiling, front and back porches, open decks and an unfinished daylight basement for future expansion or all the storage you will need. Main level features open floor plan, exposed beams, hardwood floors, kitchen with island, dining area, and french doors to the covered rear porch. 2 beds; 2 full baths; 1,568 sq ft; 1.46 acres lot; Built 2006. 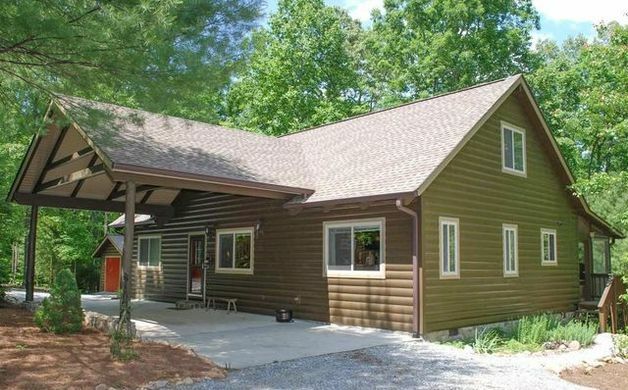 Mountain cabin with board and batten siding, metal roof, deck, screened and open porches, 3 large bedrooms, 2 baths, spacious great room with vaulted ceiling, fireplace, wood floors. A beautiful and private setting very convenient to Clayton. 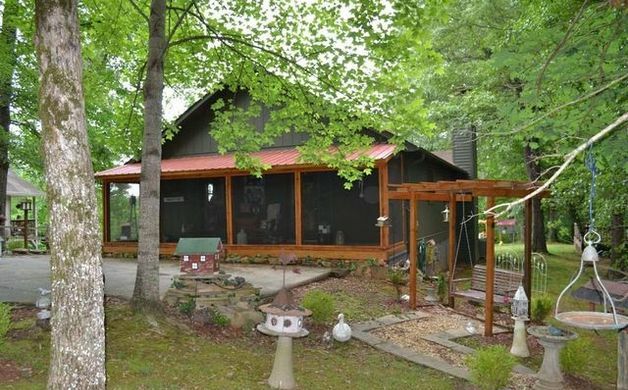 3 beds; 2 full baths; 1.71 acres lot; Built 2000. Hear the bells play from Rabun Gap Nacoochee School while sitting on your porch enjoying the beautiful mountain view! This darling 2BR/2BA home has so much to offer with the hardwood floors, masonry fireplace, sunporch/office, lots of storage, cozy screened porch, walking distance to down-town Dillard, bath and kitchen updates and remodel. The "barn" workshop/storage building is handy, the lovely landscaping just makes this a place to call home. 2 beds; 2 full baths; 0.3 acres lot; Built 194. Have a home for sale, or know someone that does? Send us some info about it by contacting us. Information and images courtesy of Realtor.com.